Sen. Cory Booker (D-NJ) is in presidential campaign mode, and he’s made marijuana reform a critical tenet of his platform. So why isn’t he cosponsoring new bipartisan legislation to shield legal cannabis states from federal intervention that was introduced in Congress last week? The senator signed on to an earlier version of the bill that was filed last year. And he’s repeatedly said that states should be granted the autonomy to set their own marijuana policies. That would be accomplished under the proposed bill, yet he declined to add his name as an original cosponsor of the Strengthening the Tenth Amendment Through Entrusting States (STATES) Act. 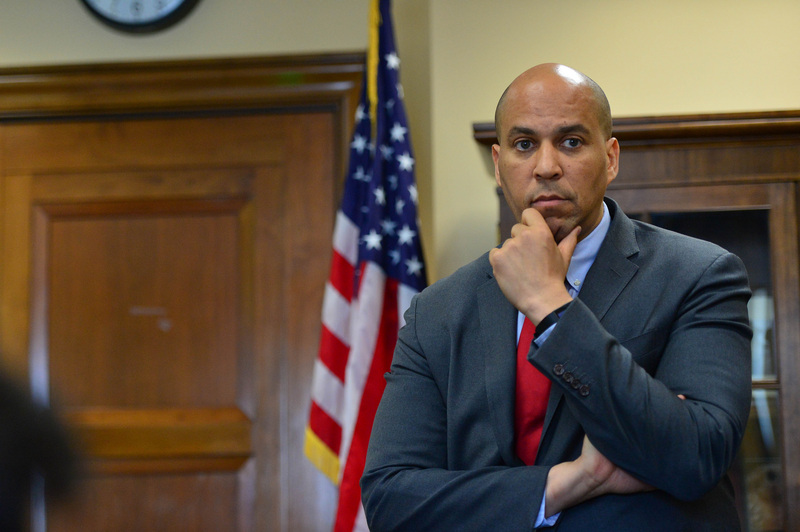 The reasoning behind his decision was unclear until Tuesday, when Booker told VICE’s Matt Laslo that he’s withholding his support because the bill doesn’t go far enough in terms of repairing the racially disproportionate harms of prohibition. Listening to the 2020 Democratic candidate talk about his drug reform philosophy of late reveals something of a shift—one that places greater weight on social equity—and Booker seems to be indicating that the STATES Act doesn’t meet his standard for reform. Under the senator’s own Marijuana Justice Act, federal courts would have to expunge the records of individuals with convictions for possessing or consuming cannabis. It would go further too, by federally descheduling cannabis and penalizing states that enforce marijuana laws in a racially or socioeconomically disproportionate way by withholding certain federal funds. And that saved money would go toward community reinvestment efforts such as job training programs. It’s already apparent that Booker is working to distinguish himself from the current crowd of pro-legalization Democratic presidential hopefuls. For example, he seemed to make a veiled critique of Sen. Kamala Harris (D-CA) after she made a lighthearted admission that she used marijuana during college. During that same campaign stop, Booker also said “do not talk to me about legalizing marijuana unless in the same breath you talk to me about expunging the records of the millions of people that are suffering with not being able to find a job,” touting his legislation. Booker’s criticisms of what he sees as the inadequacies of the STATES Act, which was filed by competing presidential candidate Sen. Elizabeth Warren (D-MA), could provide another way for the senator to separate himself from the pack in the race—though Warren and Harris, along with other contenders, have also signed on as cosponsors of his Marijuana Justice Act. The STATES Act is a relatively non-controversial, bipartisan bill, as far as cannabis reform in Congress goes. It has a states’ rights focus that has appealed to even some historically anti-marijuana lawmakers like Rep. Doug Collins (R-GA), who endorsed the legislation in a letter to the chair of the House Judiciary Committee. To be clear, while Booker is withholding his name as a cosponsor of the bill, he hasn’t said he would vote against it—a prospect that would almost certainly sink its chances of clearing the Judiciary Committee, of which he is a member, if brought up for consideration there. In the 116th Congress, the STATES Act also seems to have revealed additional political schisms in marijuana policy within the Democratic party. Sen. Dianne Feinstein (D-CA) removed her name from the original cosponsors list after supporting the last version, for instance, but advocates suspect that that decision reflects what they see as the senator’s disingenuous prior support, which came in the midst of a re-election battle with progressive challenger, state Sen. Kevin de Leon (D). Photo courtesy of Senate Democrats. ← Did ‘Interstellar’ get it right about Black Holes?